Lama Zopa Rinpoche during Root Institute’s 30th anniversary celebration, India, January 2018. Photo by Ven. Lobsang Sherab. Lama Zopa Rinpoche, during the 100 Million Mani Retreat, Italy, October 2017. We Can Keep You Updated Daily! It’s Time to Empty Merit Boxes! Thanks for all your recitations for Lama Zopa Rinpoche’s health! Please rejoice as we offer them to Rinpoche for Losar! 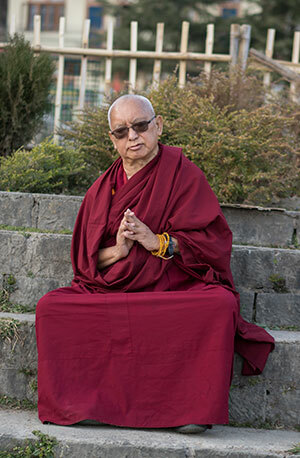 Lama Zopa Rinpoche at Maitreya School, Root Institute, India, January 2018. Photo by Ven. Lobsang Sherab. 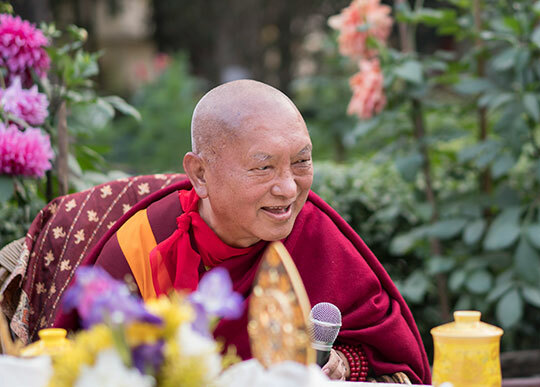 Lama Zopa Rinpoche’s schedule – new teachings added! Lama Zopa Rinpoche with Ven. 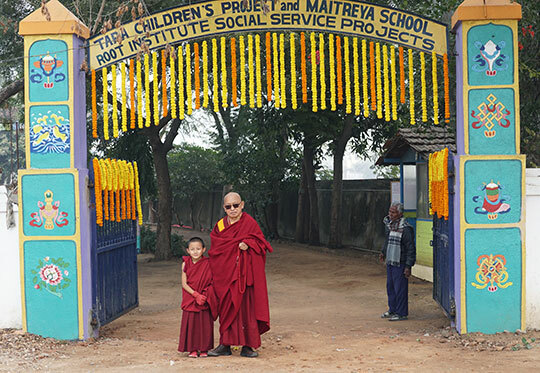 Tenzin Jamyang, at the entrance to Maitreya School and Tara Children’s Project, Bodhgaya, India, January 2018. Photo by Ven. Lobsang Sherab. Lama Zopa Rinpoche turning the prayer wheel at Root Institute, India, January 2018. Photo by Ven. Lobsang Sherab. Announcements from FPMT International Office. Visit FPMT.org/fpmt/news to sign up today! Lama Zopa Rinpoche blessing fish in the lake at Tso Pema (Rewalsar), India, February 2018. Photo by Ven. Lobsang Sherab. Bodhisattva Vows PDF updated, these vows provide clear guidance as to what kinds of actions should be practiced and what should be avoided in order to be of greatest benefit to others, develop compassion, and overcome selfish ways of being. 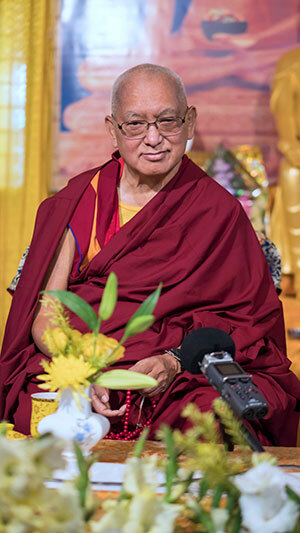 Abbreviated Long Life Puja to Lama Zopa Rinpoche (Lama Chopa with Sixteen Arhats), learn more about this long life puja text on FPMT.org. 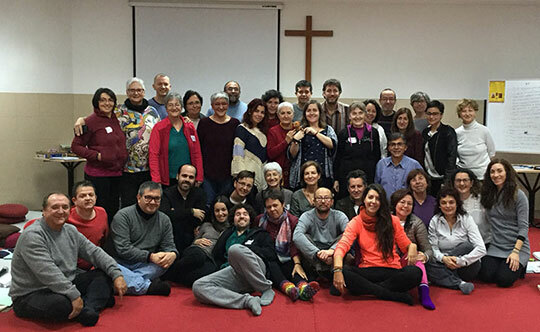 We also rejoice in the Foundation Service Seminar recently completed in Mexico, also in Spanish, from which 25 students graduated! The FSS in the UK will be followed by an FPMT Teacher Development Service Seminar.